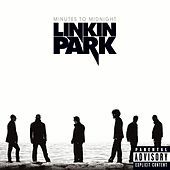 Linkin Park enlisted uber-producer Rick Rubin for Minutes to Midnight, a fact that becomes most evident on the crunch of "No More Sorrow." Even the ballads are more muscular, and while there are still concessions to the rap metal they made their name with on Hybrid Theory back in 2000, Minutes to Midnight represents a stylistic shift for the kids from Agoura Hills. Gone are the turntables, replaced with charging guitars, walls of backing vocals and the occasional sample. Previous anti-fans of the band may want to check out "Shadow of the Day." 2007 Warner Bros. Records Inc. for the U.S. and WEA International Inc. for the world outside the U.S.